Our holidays and short breaks are designed around you. We use our intimate knowledge of the Cotswolds and local connections to tailor your break to your needs. Based in Kingham, in the heart of some of Britain’s best cycling country, we plan our routes to take you through stunning countryside along hidden lanes and by-ways in Oxfordshire, Gloucestershire and Warwickshire. We will guide you to a host of historic towns, country houses, castles, gardens and cultural events that will give you a real sense of connection to the largest Area of Outstanding Natural Beauty in England. We start by finding out what you want from your guided holiday or short break and then create tours that are designed around you. The challenging topography of many of the rides is suggested by the name of our location “The Cotswold Hills”- there are flatter routes through the Windrush and Evenlode valleys, but, as some climbs are inevitable on most circuits, it is important that children in groups are competent, traffic aware and confident cyclists. And remember what goes up . . . can also enjoy a relaxing or thrilling downhill descent. Electric bikes make tackling the hills so much easier for adults – unfortunately, British law dictates that children must be 14 years or over to ride e-bikes. All the circuits from Kingham take quiet back roads and beautiful country lanes - carefully chosen to allow you to enjoy the tranquillity of the countryside. We also include a cyclist’s most treasured secret – cafes and tea-shops en-route! . 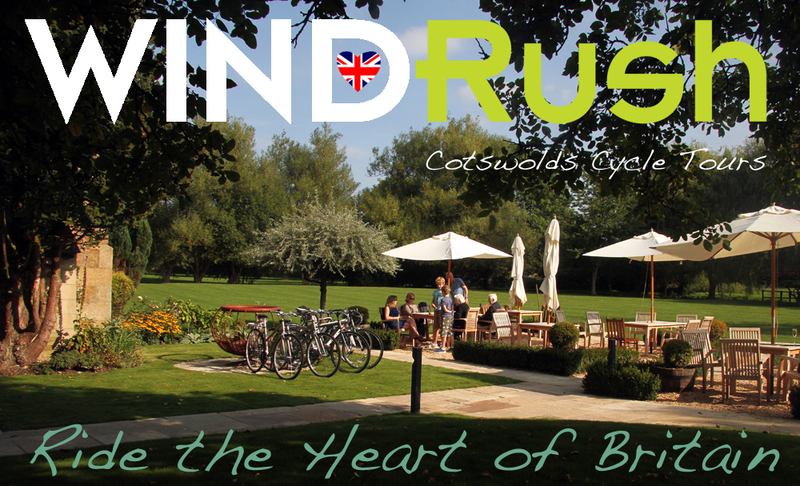 At Windrush Tours, we’ll help you adapt your itinerary in the event of rain or any other unforeseen circumstances and, for those who don’t want to accompany their partners cycling, we’ll arrange for you to sample the many and varied delights of the Cotswolds by more conventional means. Cotswold Wildlife Park, Birdland, Cotswold Farm Park, Cinema, swimming pools and nature trails. Historic and cultural cities, Oxford, Cheltenham and Stratford-upon-Avon, (including recommended museums and events throughout the year to enjoy) are all within easy reach. Health & Beauty Pampering – various local health spars, including the renowned Wellness Retreat at nearby Daylesford. Cultural and Music festivals from concerts at Blenheim Palace and Opera at Longborough to summer music festivals like Cornbury and Harvest, Shakespeare at Stratford on Avon and of course, Kingham’s own “Feastival” presented by Alex James and Jamie Oliver. If you arrive without a car, there are many things that can be visited by public transport. For those that can’t, we can arrange transport by our nominated taxi service at very reasonable fixed rates, so it’s especially good value if you can get a group to share the cost. For walkers, we operate a number of walks serviced by taxi – they drop you at the start of the walk and collect you at a pre-arranged time at the end. Transfers to and from London Heathrow can be arranged for guests from overseas. A non-refundable deposit of 50% of the accommodation costs and administration charges is payable 8 weeks prior to arrival or at the time of booking, if this is sooner, plus the full cost of any events or travel tickets booked on your behalf. The final payment must be paid four week prior to arrival. In the event of the booking being made within four weeks of arrival, payment for the full amount must be made at the time of booking. We recommend your travel insurance policy includes cover against cancellation due to ill-health etc. All payments are in pounds Sterling. Any changes you wish to make to your itinerary during your holiday require immediate payment. Please note that we will make every effort to obtain ticketing to events and attractions during your holiday, but these often need booking well in advance to guarantee availability. 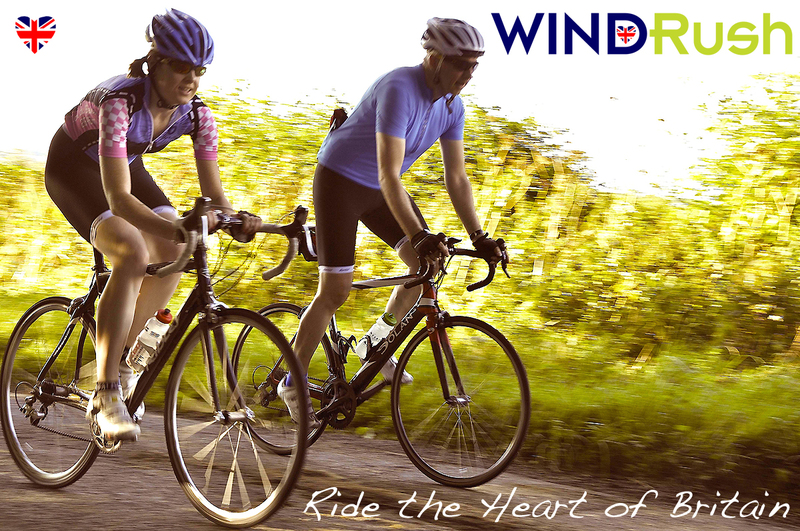 Windrush Cycle Tours/Cotswold Electric Bike Tours will process your Personal Information when you book guided tours, holidays or make enquiries for these services. Windrush Cycle Tours email account holds this personal information insofar as it is necessary to process your enquiries, arrange and amend bookings – chiefly your name, email address and any personal information like your home address, mobile telephone number, names, ages, gender and height of the members in your group. This is used to plan rooming arrangements, ensure bikes of the correct frame size are provided and hold an on-going dialogue with you in the planning of your tour or holiday. By consenting to this Privacy Notice you are agreeing to allow us to use your Personal Data for the purposes described above and to hold it securely to allow Windrush Cycle Tours/Cotswold Electric Bike Tours to send you details of new products and services. However, if you advise us that you want your personal details to be removed from our system, we will be happy to do this free of charge. Similarly, photos taken on tours are only used on Windrush Cycle Tours or Cotswold Electric Bike Tours websites or promotional materials with your express consent.